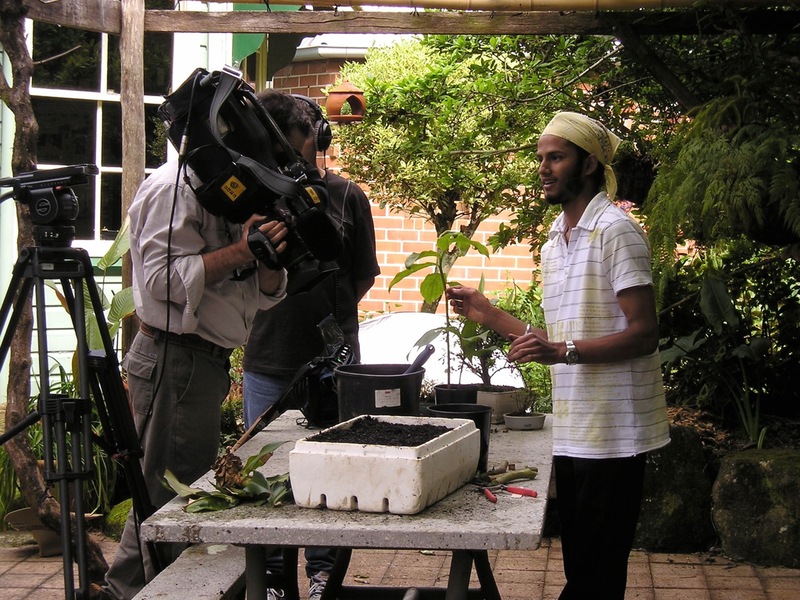 An upcoming story on Gardening Australia will feature Rohin Miles, a Gardener of the Year Award entrant. The story features Rohin, a 20 year old gardener. His passions range from ornamentals, productive and heritage plants, exotics and natives. 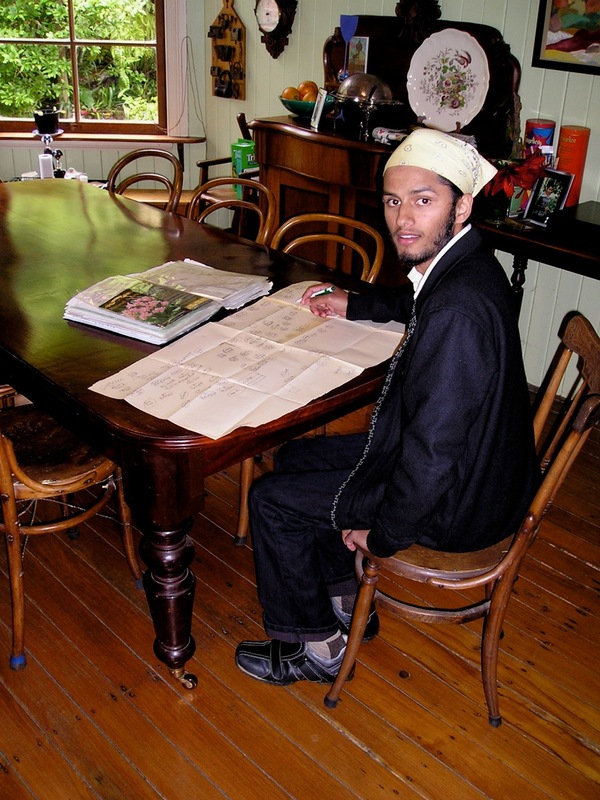 He’s an apprentice gardener with Tweed Shire Council in the Northern Rivers of NSW. Rohin’s parents have been farming organically beside Mt Warning for thirty years. Their home, garden and farm are as Climate Change Ready as possible: if other farms were managed as this family manages its own property Australia could cut our Greenhouse Gas emissions by over one third. Rohin began collecting and growing succulents and initially helped them garden their 50 hectare subtropical property by helping mow the lawns using a hand propelled mower. Mowing was hard work and it wasn’t long before Rohin realised that the grass under the trees wasn’t doing very well. So he started to create a garden. Rohin quickly developed an awareness that a garden needs layers. 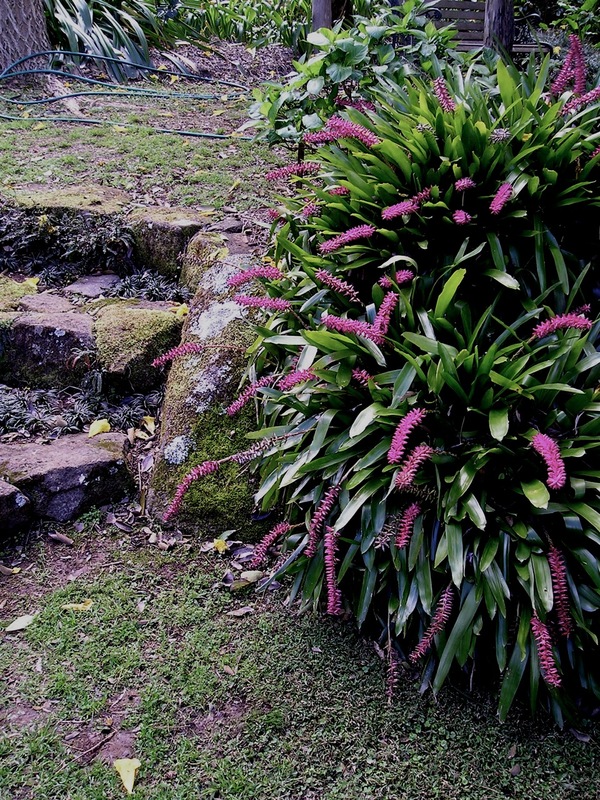 Soon trees and grass found themselves sharing their space with groundcovers, like the Japanese Iris, Iris japonica; bromeliads, like the common Aechmea gamosepala; Flame Nettle, Solenostemon scutellarioides (syn. Coleus scutellarioides); Sweet Violets, Viola odorata; Native Violet, Viola banksii (syn. V. hederacea); and Impatiens. Then came choice shrubs, like Japanese Maples, Magnolia, Chinese Fringe Flower, Loropetalum chinense var. rubrum, climbers, like Wisteria; epiphytes like Platycerium, Tillandsia and Vriesia. 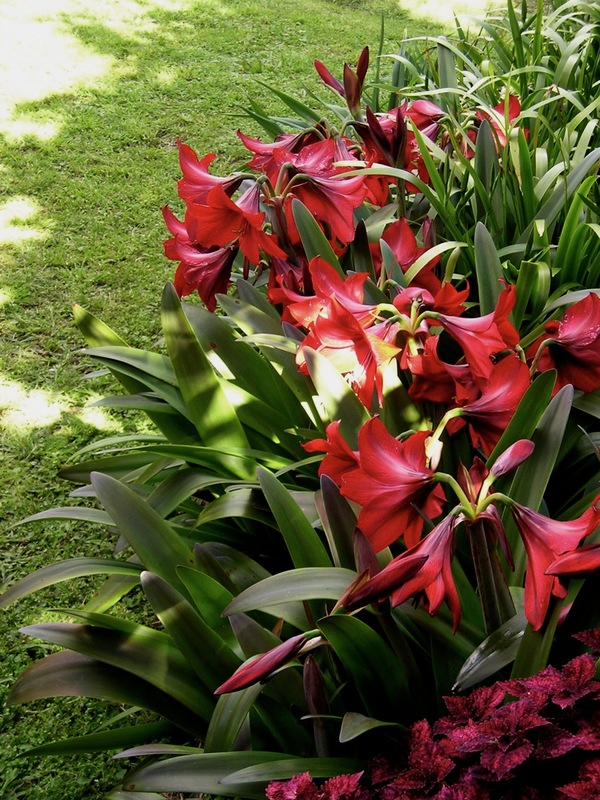 Choice perennials include Kohleria eriantha, Hippeastrum papilio; Plectranthus saccatus and Indigofera australis. These are the same plants I liked using in themed displays at Sydney Botanic Gardens. Seeing so many of these favourites growing in Rohin’s garden made me feel nostalgic for Sydney Gardens. At 10 years old, Rohin created his first of a series of gardens on the family property. Today it’s as good a garden as I could wish for. A series of garden projects started in earnest. Rohin loves the Magnolia family (Magnoliaceae) so he’s collected species, hybrids and cultivars including cool-temperate Magnolia stellata, Tulip tree, Liriodendron tulipifera and Tupelo, Nyssa sylvatica warm-temperate Magnolia campbellii (which flower much earlier in his garden than usual) warmth-loving relatives like Michellia. About 100 different magnolias and their relatives are now thriving and he’s just started extending his magnolia collection creating a small arboretum for what seems to be a reference collection for Magnoliaceae. Rohin likes bromeliads, camellias, azaleas, palms, oaks, begonias, heliconias, gingers and costus, so he’s developed collections of each. Collecting from all corners of Australia is one thing, but Rohin keeps detailed planting maps for each bed, labels stock, keeps records of their source and supplier details. In planning each new collection and each new garden project he throughly researches and plans, just as a botanic garden would do. Currently he has these garden themes: a productive garden for herbs, vegetables and fruit trees, a Japanese garden, a shadehouse, temperate woodland, tropical woodland, a collection of heat and sun-loving tropicals, a display of cycads and grass trees where the soil is shallow and dry, a clumping bamboo collection, separate tree collections for autumn colour and conifers. 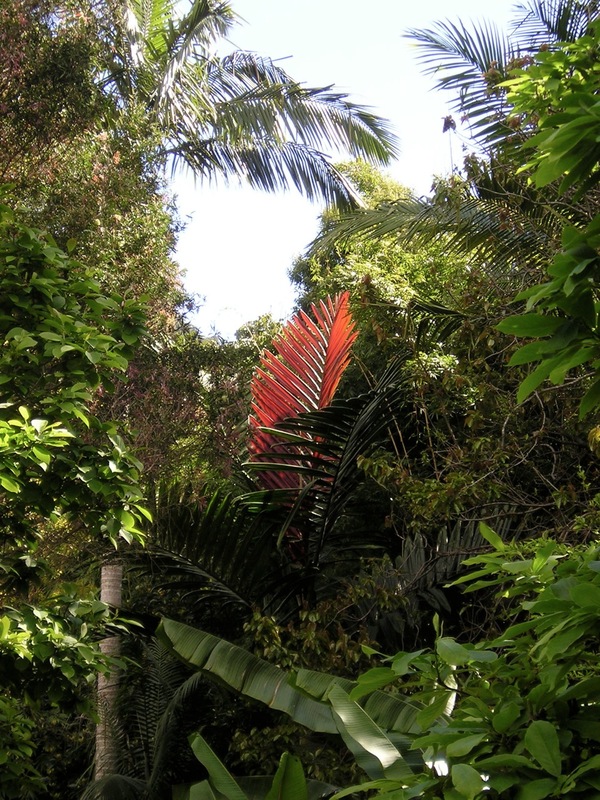 Rohin’s growing collection of 2,000 plus species includes rarities, like the spectacular Red Leaf Palm Chambeyronia macrocarpa, endemic to New Caledonia; Red Bopple Nut, Hicksbeachia pinnatifolia. Specimens of the Hong Kong Rose, Rhodoleia championii (Hamamelidaceae) is better than that grown by Sydney Botanic Gardens and his magnolias compare favourably with those at Mt Tomah Botanic Gardens. The key to success here is the way Rohin understands how to work with nature: gardening organically, appropriate stock selection, creating collections with similar cultural requirements and locating these according to the best micro-climates. Father and son have created several spectacular dry stone walls using stone retrieved from paddocks: full of crevices perfect for planting epiphytic ferns and orchids. Home grown bamboo has been used to create stylish fences, a pergola, screens, a frame for protecting strawberries and supporting plants. The family live in a solar-powered sustainable house and are very careful not to grow anything with weed potential next to Mt Warning National Park. 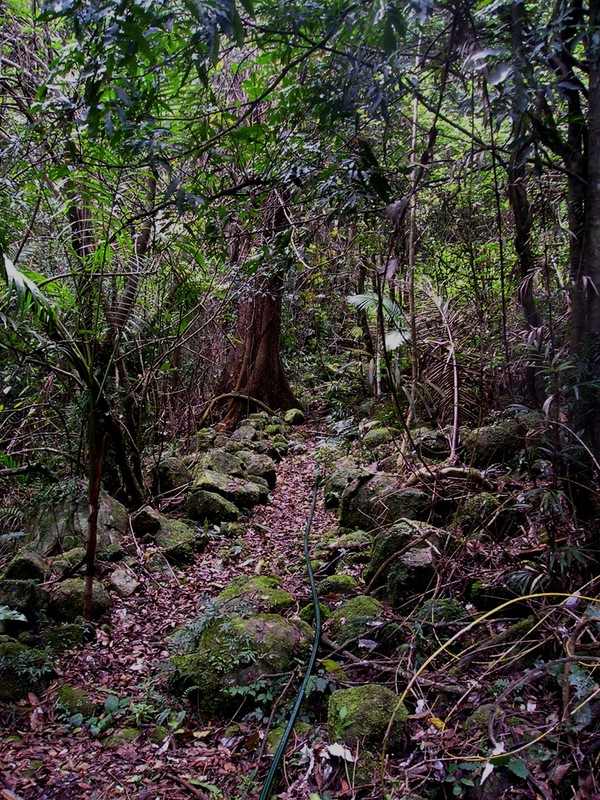 Healthy remnant rainforest surrounds and flows into the property and the family are progressively eliminating camphor laurel, Crofton weed and lantana. Hicksbeachia, Native Wisteria and Macadamia call this rainforest home. Rohin is collecting seed and sowing and planting rainforest species to seamlessly blend garden into rainforest and to reclaim weed-infested pockets for nature. 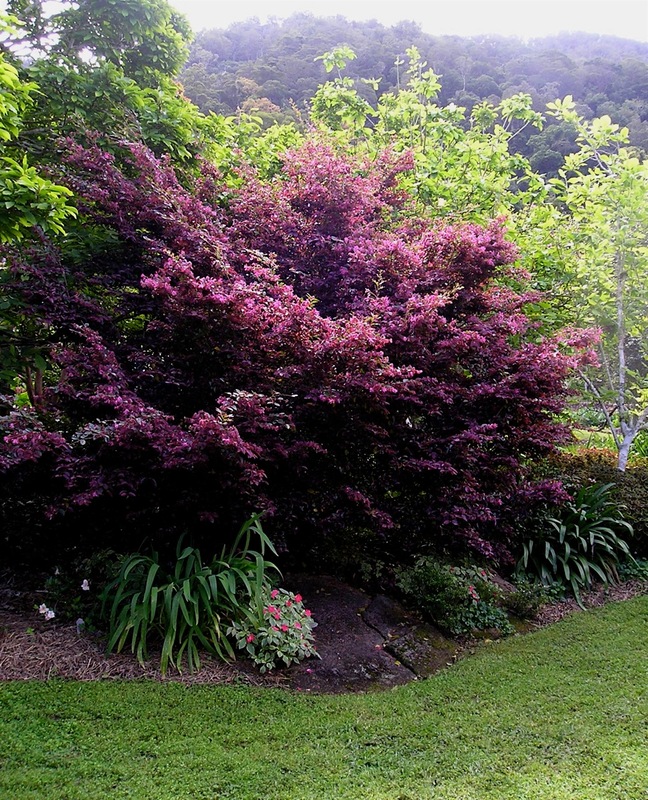 Rohin’s subtropical garden displays plants that can be grown outdoors from Hobart to Darwin. I’ve known few gardeners to achieve so much in such a short time. Tweed Shire Council is indeed fortunate to have such a promising young gardener, now in the second year of a horticultural apprenticeship. Rohin has been gardening organically for ten years and displays so much awareness of plants, gardening and planning he’s a natural botanic gardener. Let’s hope one day he finds sufficient confidence in his achievements to call his domain an organic botanic garden.